University of Houston-Clear Lake was founded to meet the higher education needs of those working NASA Johnson Space Center during the early days of space exploration, and we continue that tradition of innovation and excellence in the College of Science and Engineering. Our lab facilities range from physics and computer science to chemistry and environmental science. With the addition of the Science, Technology, Engineering and Mathematics or STEM & Classroom Building scheduled to open in 2018, new labs will foster hands-on learning experiences, allowing for students to develop more creative solutions. 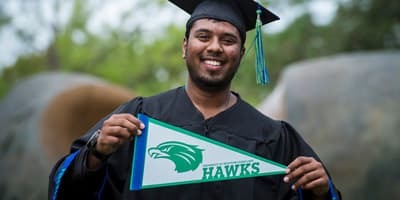 To enhance your degree, you can join a competitive team in robotics and computer programming or prepare for post-college success in our Bridges to STEM Careers Program, a partnership between UHCL and San Jacinto College supported by the National Science Foundation. 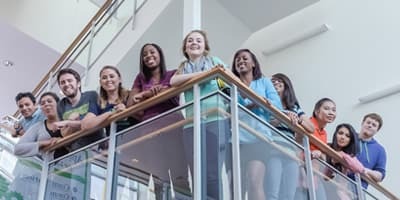 Centers within College of Science and Engineering connect our faculty, students and community. The Cyber Security Institute, founded in 2012, provides hands-on cybersecurity training for everyone from high school students to advanced professionals. The Center for Robotics Software (CRS) serves as the focal point of collaborations between academia, the Johnson Space Center at NASA, industry, federal agencies and local business organizations in the greater Houston area. 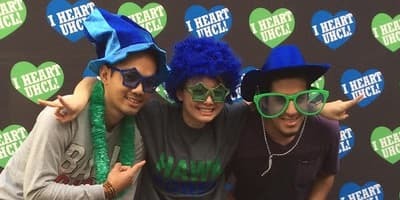 As the fastest growing college at UHCL, we're launching more careers than ever. It helps that we're supported by $4 million in annual research funding from the National Science Foundation, U.S. Department of Agricultural, National Institute of Health, the Texas Commission on Environmental Quality and others. The STEM and Classroom Building provides 13 faculty research labs and 15 teaching labs for mechanical engineering, physics, chemistry, geology, industrial hygiene and environmental safety.